This is my own Toyota Hilux mk2 2.4 Diesel which I have used regularly as a car and going-to-the-tip vehicle in Devon for the past 5 years or so. I bought it with a cooling issue which was fixed by a new head when I first bought it and no other problems have emerged since then. 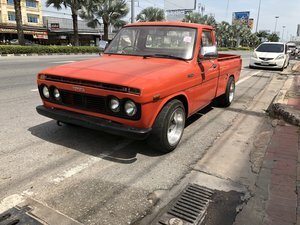 I recently changed the oil and filters and diff oil. I've moved to the Edinburgh, in the city, so don't need this anymore. You probably know that these MK2s are pretty rare - the ones that occasionally crop up tend to be tidier and a lot more pricey than this. 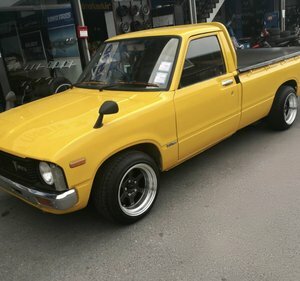 This one, despite its looks is very solid. 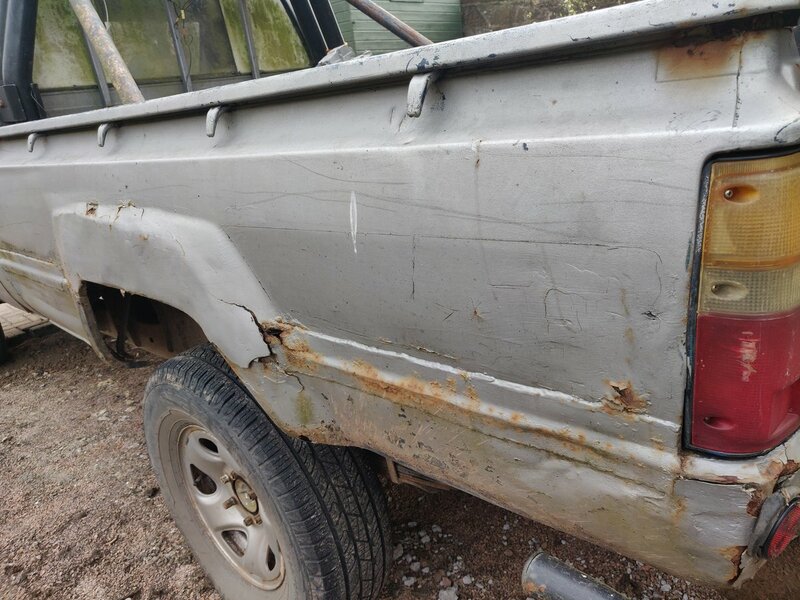 There is really no rust on the chassis. 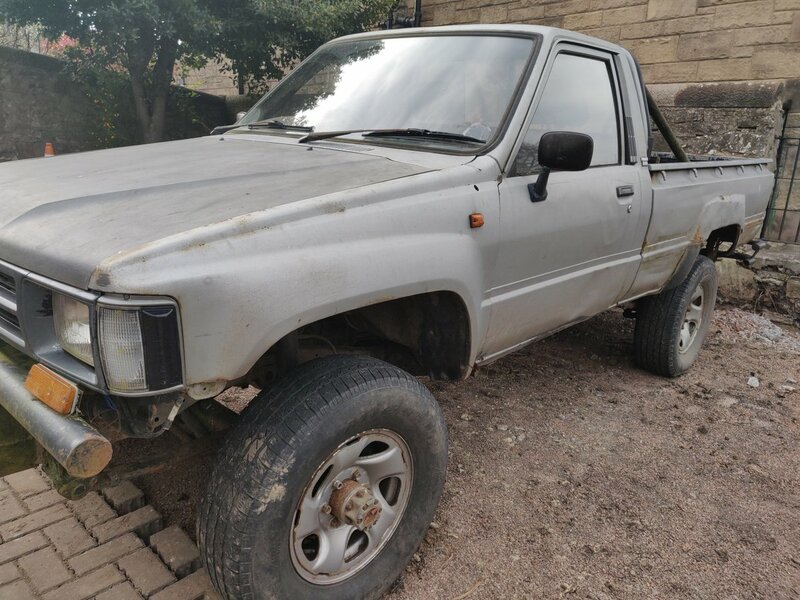 The gearbox is good, the engine is naturally slow, non-turbo, but burns no oil, 4WD works fine, brakes are fine, no oil leaks. 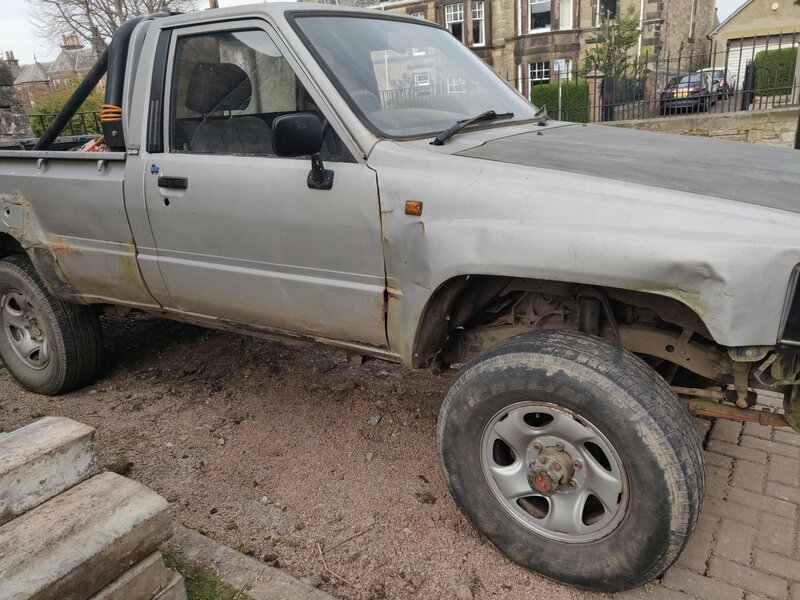 Everything wrong with it is cosmetic (but it's quite a lot), (drivers door lock broken, petrol flap lock, the tub is pretty shonky, lots of rusty bits, panels bashed). I put new front springs on it a couple of months ago and a new starter motor. It starts very nicely, every time. 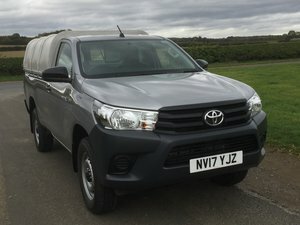 I just drove it today from Devon to Edinburgh. 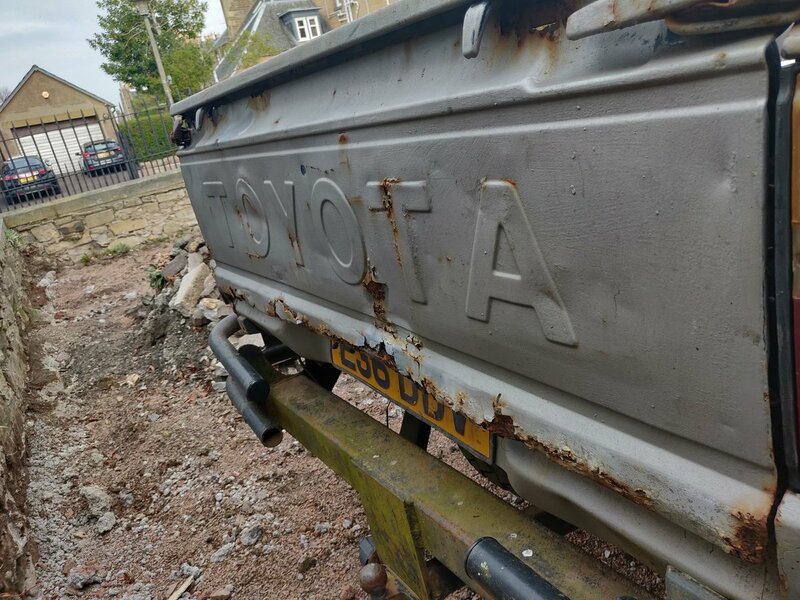 It had been sitting in a field for a whole year (since I moved to Edinburgh. I got in it and drove it here in 8 hours. If it doesn't sell by friday, I'm planning to get the bodywork done and put an MOT on it (which expires tomorrow! ), but then the price will go up quite a lot. 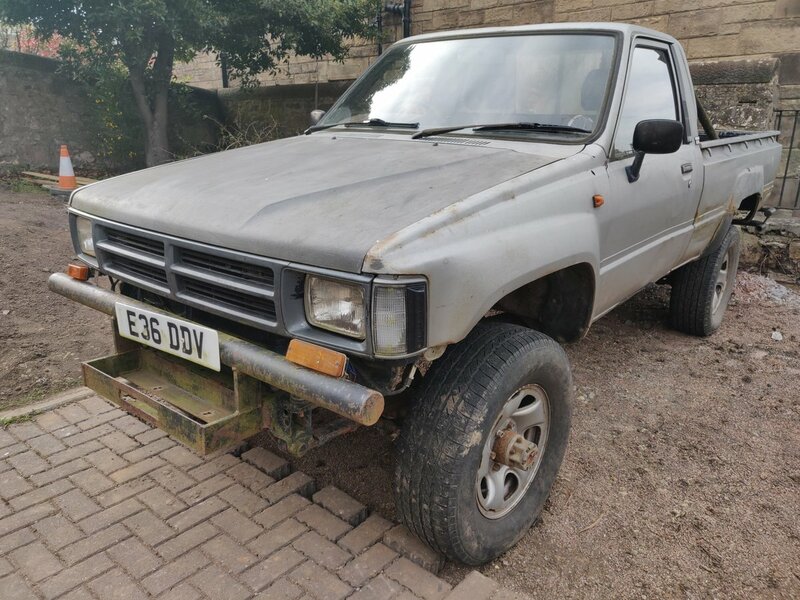 I could really do without anyone who doesn't have the money contacting me... No bargains here, just a decent, rare and reliable hilux, for a fair price. Please try finding another mk2, anywhere, for any price. 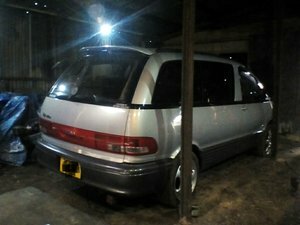 1993 TOYOTA ESTIMA 4WD 7 Seat People Carrier.